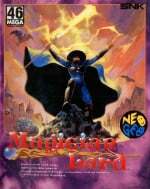 For those of our readers who have been enjoying the ACA Neo Geo releases on the Switch eShop, it's been revealed that later today Magician Lord will be available to download for the usual price of £6.29 / $7.99. Developed by Alpha Denshi and released in 1990 as a launch title on the Neo Geo, this side-scrolling platform game was quite popular with arcade gamers. With the Neo Geo library consisting of so many beat-em-ups and shmups, it's nice to have a good old action platformer to enjoy. 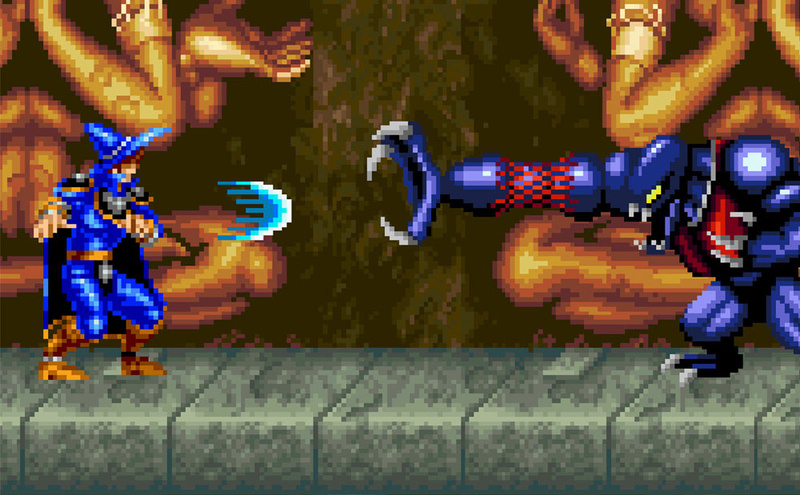 Magician Lord is a lot like Capcom’s Ghouls 'n Ghosts. You play the titular wizard as he battles to defend his homeland from the evil advances of the absurdly named Gul-Agieze. Considering the age of the game the visuals and sound still hold up really well. The sprites themselves look a little dumpy and animate awkwardly but they still manage to look pretty decent, and the generous use of sprite scaling also helps the visual side of things. The music is nothing short of stunning, with the first level theme being especially worthy of praise. Do you plan to pick up this magical action platformer for your Switch later today? Hmm, maybe I will get this today! Absolutely will not be buying this. It's a terrible, shambles of a "game". Middle of the road game for me. It's not amazing, but not awful by any means. It makes for a nice breather from the beat-em-ups. As soon as it appears on the Eshop it will be mine. Been looking forward to this all week. Maybe later, perhaps on sale, too many new(er) games have priority right now. Way too hard and too repetitive for my taste, but I like the setting and the graphics are nice, expecially in the first stage and I love this kind of games. I could buy it because of that. It is tempting but being that hard and that monotonous it is not a game I really like that much... I have to decide yet. I shall not be returning to the Dale of Evil Gods (and the other stages) anytime soon. I'll miss the music, however. @LuckyLand The Neo Geo games on Switch have 8 difficulty levels to choose from,the default arcade level is 4. Dropping it down to 2 or 3 should make a big difference. On Wii VC I don't think you could change the difficulty. I recommend people to wait Spinmaster instead. Much better game in the same genre. Still loving that so many classic Neo Geo games are getting released on Switch. This is how the virtual console should be for pretty much every single retro console, and certainly ALL of Nintendo's past systems (both home and handheld--and even the likes of Game & Watch, Virtual Boy, and arcade too). Just found out Street Fighter 3 was on NeoGeo, the only one I've never played, fingers crossed. The game is hard, but I like it. I'll probably end up getting it again. @BigYellow Street Fighter 3 on Neo Geo? @shonenjump86 Apparently, although chances are it's the original, I'd be surprised if 3rd Strike made it. This game broke my spirit in the arcades. I wanted to see all the transformations, but I couldn't play it at all. I used to watch others play quite a bit though. Still no review for Aero Fighters? A fun game, I may pick it up at some point. @BigYellow it's a fan made port of Street Fighter II. We won't be getting that on the Switch. @deKay Dang, only somewhat possible version to come to Switch would be the Dreamcast version, which is a real stretch. I'll stick to SFV and USF2 for now then. Switch's NEO GEO collection is starting to look like the Wii's. @BigYellow SFIII is a CPS-3 game. Not going to be on Neo Geo. One step closer to Baseball Stars Professional . . . one step closer. . .